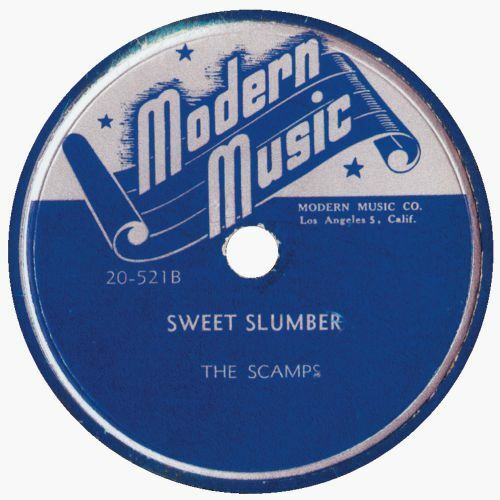 The City Council of Kansas City regard the Scamps (latterly known as The Five Scamps) as a musical treasure and contribute money annually to them (and others) in order to keep alive the memory of the 'Kansas City Sound'. 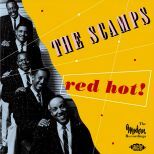 Certainly the Scamps qualify as a important part of that scene, being the longest continuously active, fully integrated" (ie they play the instruments as well as sing), black-American jump & jive combo. 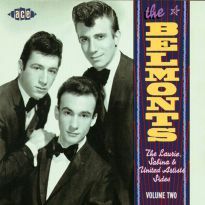 Including humour in their live act and covering a variety of different musical styles in a light-hearted but professional manner, they lived up to their name in a 'Scampish' style. The group have been in existence for 57 years and some of the original members remain active. " 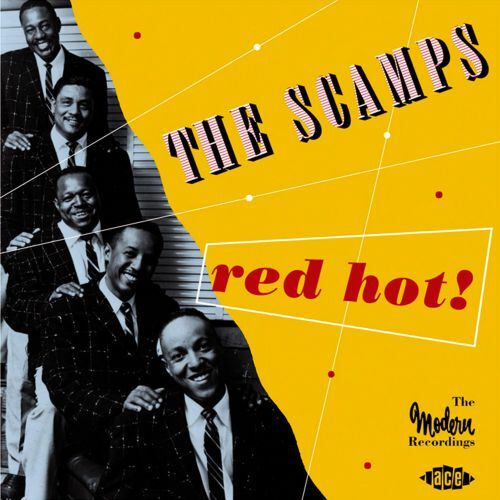 In RED HOT - The Modern Recordings, Opal Louis Nations documents their career, starting before the Second World War with group members Earl Robinson and James Whitcomb entertaining other workers in the CCC (Civil Conservation Corps) camps. After the war, the group was reformed in Kansas City by the 18-year old music student, Rudy Massingale, who played piano and saxophone as well as singing, With help from guitarist Wyatt Griffin, he helped form and lead a harmony group who also played their own instruments. 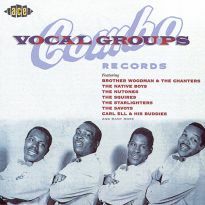 Earl Robinson was lead tenor (and also a congo drummer), with Wyatt Griffin and his brother Torrence providing tenor support, whilst James Whitcomb both sang bass and played a string bass. 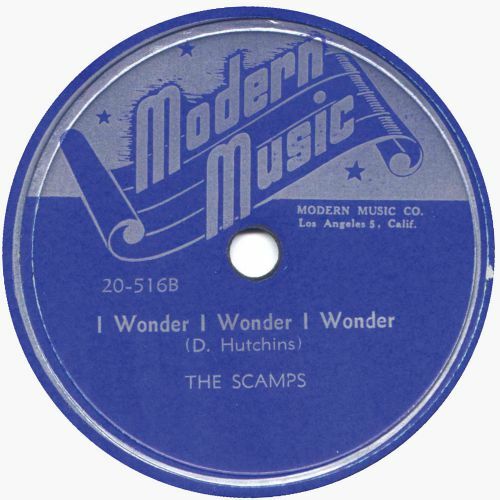 During the 30s and 40s, groups who could both sing and play instruments like the Cats & the Fiddle and the Five Red Caps were very popular. 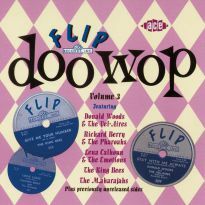 The group tried to get recordings and after being rejected by the Brunswick label after a special trip to Chicago, they reportedly even threw the demonstration discs into the river! Perseverance enabled the group to make their mark on the thriving Kansas City night-club scene and they started to work at the Flamingo Club and other venues. 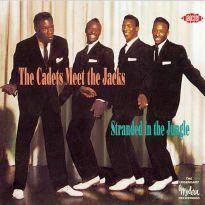 With their ability to please the crowd and play different types of music, the group became popular in the KC area, and through the owner of the Flamingo Club they they were signed up by the Johnny Tumino booking agency. 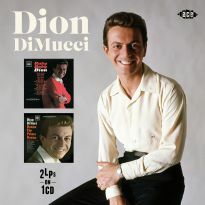 Tumino, who was the promotions manager for Jay McShann and Julia Lee, as well as other mainstays of the KC jazz and R&B scene, succeeded in getting them a contract with Modern Records and the group set out for California in Massingale's father's car in early 1947. 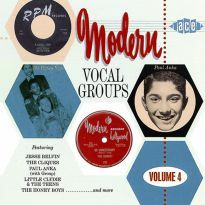 On the CD, the group's recordings for the Modern label are presented in their entirety. 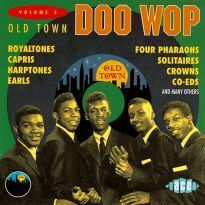 Many of them are renditions of a number of tunes popular on the R&B scene at the time. 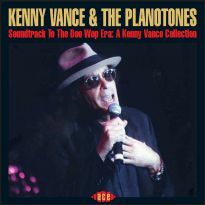 The group's first release coupled James P Johnson's Don't Cry Baby with Vincent Youman's More Than You Know. 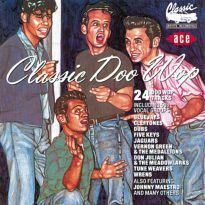 On the second, their version of the then hit, now standard That's My Desire accompanied Daryl Hutchins' I Wonder, I Wonder, I Wonder - a song made widely popular in the San Francisco Bay Area by the Vagabonds and the Four Aces. 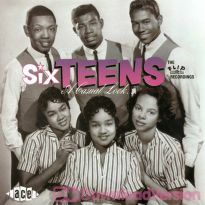 Later releases showed theinfluence on their performances of groups like the Ink Spots and the Mills Brothers. 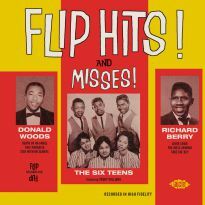 The Ink Spots' influence is clear on the up-tempo CD-opener Chicka Biddie Boogie as well as on I'm Falling For You and Worry (Over You Like I Do). 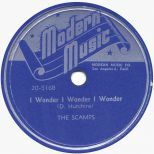 Both sides of their five singles for Modern in the are included as well as no less than 12 tracks which until now have not been commercially available. 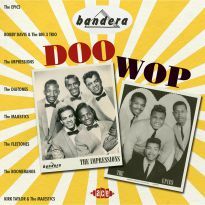 Standing out amongst these are versions of I Want A Little Girl, recently featured as song of the month on Paul Jones Saturday morning show on Jazz-FM, and that perennial favourite of vocal groups and doo wop lovers everywhere - Stormy Weather. 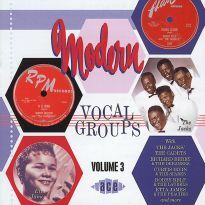 After their stay with Modern, they recorded for Columbia as the Five Scamps from 1949 to 1951 but then, after a split in the ranks and a break for a while into two competing outfits, the group recorded for the Peacock label in 1955. 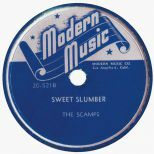 Despite the change of musical tastes that then took place, the Scamps continued with many reformed versions of the group. 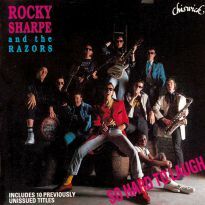 Earl Robinson led the group through the 70s and 80s with Rudy Massingale returning on vocals and piano. 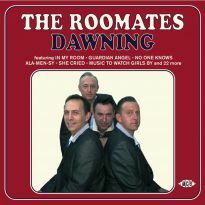 The revamped group perform at the Local KC Jazz Legends concerts and have recently cut a new CD.